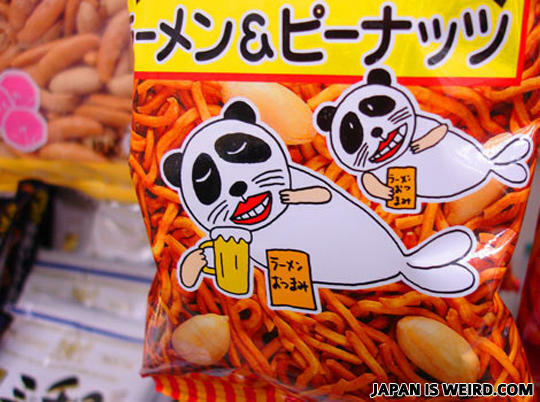 In a first Japan has crossed a seal with a panda and a man to create the perfect snack treat. Feed it beer and it excretes these delights. Their faces remind me of old greg! Dried shreds of Baby Seal, the Hokkaido treat! pandafish selling noodles.......mother of god! no it's ramen for beer. This is what happens when you give Japan all of your alcohol. A drunken panda seal. Really, Japan, really? Never say no to panda-fish.